Melt the chopped dark chocolate. 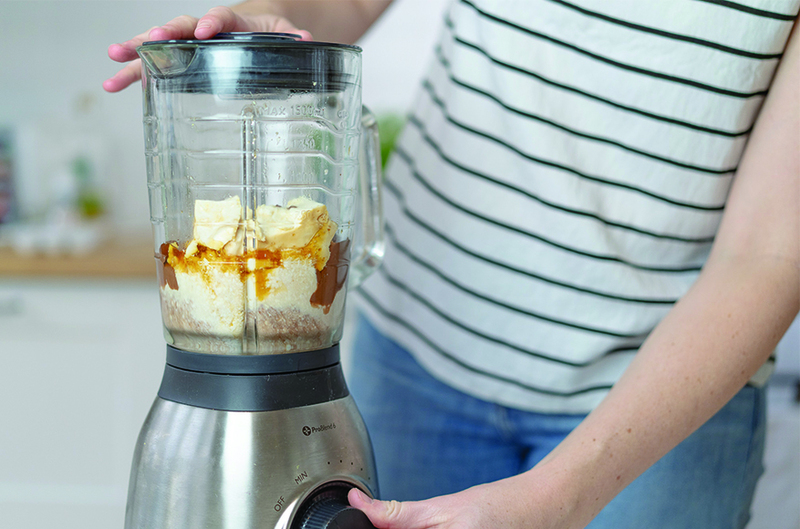 Add the silken tofu, maple syrup and melted chocolate to a food processor. 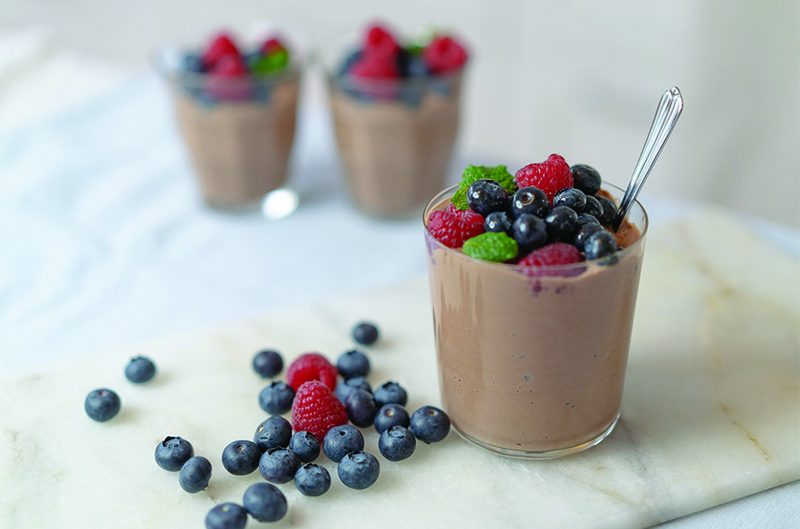 Scoop the mixure into 3 ramekins or glasses and refrigerate until set. 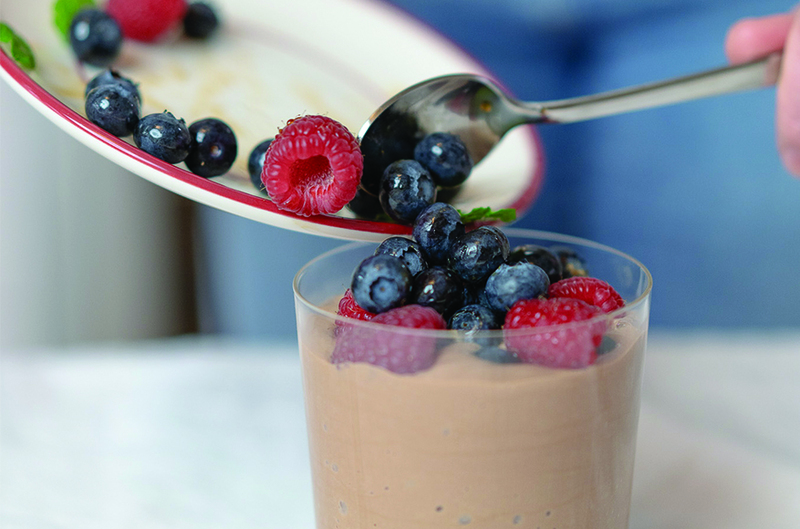 To serve, garnish with berries and mint.